The contents of this website may not be reproduced, republished or mirrored on another web page or website without written permission from Premier Organs. we will be happy to deliver to you personally for €280.00 (EU Euros). We are happy to demonstrate the instrument and show you how to use it. This means you can ensure you are satisfied with the instrument before you purchase it and you also get to meet us! All the instruments below are pre-owned and in excellent condition (unless clearly stated otherwise). We do most of our own UK deliveries. We are happy to demonstrate the instrument and show you how to use it. 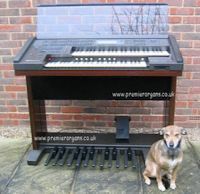 If you would like to visit us to view an instrument you are very welcome. As most of our instruments are in storage (and we are sometimes doing deliveries and are not always available!) please telephone or e-mail us to arrange an appointment. We are very happy to bring an instrument home and offer you a cup of coffee while you check it out! Please e-mail us for a quote to take your instrument in part exchange. 6 month guarantee (labour and parts) - UK mainland only. Delivery within 50 miles of London. 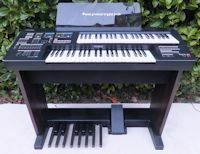 The Yamaha HX5 with its 2 x 61 note manuals and 20 note pedalboard is suitable for a wide variety of making music from traditional church pieces to contemporary music such as popular, jazz and rock along with auto accompaniment and rhythm patterns. It is equipped with Yamahas AWM sampling and FM sounds - those famous AWM strings and FM strings 2 are still unrivalled. 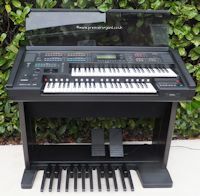 For those wishing to play traditional theatre or church music it would also make and excellent practice instrument as could easily be used with Hauptwerk being MIDI equipped and having 61 note manuals. 3 month guarantee (labour and parts) - UK mainland only. Delivery within 50 miles of ME5 9BT. The EL500 incorporates both Yamaha's exclusive AWM2 and FM technology. Both keyboards are equipped with touch response, with both initial and after touch. The orchestral voices are of the very highest quality and flexibility. 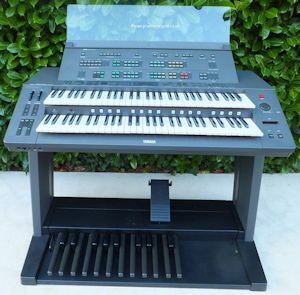 A vast range of software, including general MIDI and Yamaha XG disk, is all compatible with the built in disk drive. The sleek, modern design will grace any home and the incredible range of sounds and features will take your music to new heights. The AR80 is a perfect marriage of refined styling, ease of use and advanced music-making technology. Beautiful, traditionally styled wooden cabinets match any decor. Extensive, dedicated controls put virtually all of the multiple functions right at your fingertips. The incredible selection of classic organ sounds, lifelike orchestral voices and dynamic percussion instruments are sure to satisfy the most demanding musician. 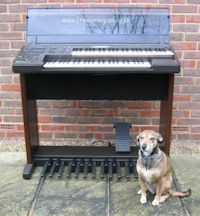 Although this instrument has had home use only and is in very good condition the gold letting on the console is faded. 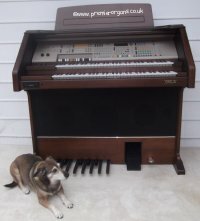 This is a common thing on these organs and it in no way affects the playing of the instrument as all the information is also available for display in the screen. Owners manual and original bench. Housed in a beautiful, contemporary theatre style real wood veneer cabinet the Grande Theatre is positively bursting with amazing sounds. The 7 speaker amplification system perfectly complements the vast array of high definition voices including the stunning Blackpool type Theatre organ voices. 6 months guarantee (labour and parts) - UK mainland only. 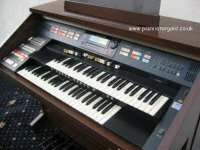 If you are looking for a portable organ, that unique Hammond organ sound, 2 × 61 key manuals and pedals the Hammond B250 although driven by custom LSI ICs instead of wheels or tubes is one of the best sounding clones available. The B250 is a Japanese Nihon-Hammond model and when played through the Leslie 310 its amazing sound is brought to life. All this equipment is in very good condition and full working order. 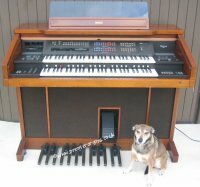 The Yamaha EL70T offers amazingly real instrument sounds and organ voices. True musical instrument touch response. Luxurious studio-quality effects. Sophisticated automatic rhythms and accompaniment. Extensive rhythm programming and rhythm sequencing controls. Faithful and powerful reproduction with a multi-channel amplifier. Convenient one-touch registration changes. Advanced yet easy-to-operate voice creation functions. Multi-track recording. A LCD that provides comprehensive, intuitive control over Electone functions. Expandability with additional voices and registrations available on disk. 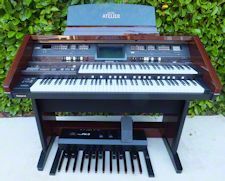 Even with all its sophisticated functions playing this Electone is a breeze. In other words, the EL70T gives you complete and straightforward control over your music - isn't that what you expect from a classic? Delivery within 100 miles of ME5 9BT. It's top quality, gorgeous and stately, yet the AT-900C is portable enough to be taken on the road. The contemporary, streamlined cabinet design combines an elegant polished cherry finish with eye catching silver accents. Specially equipped XLR outputs facilitate professional setups for concert performances. 12 months guarantee (labour and parts) - UK mainland only. Dramatically different and without compromise the XE-200 is the realization of today's performance requirements. 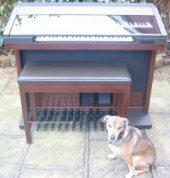 An inspired vision of today's demands the XE-200 is a well specified spinet organ featuring two 61 note manuals, two full sets of Hammond harmonic drawbars, variable digital Leslie and an excellent range of orchestral voices. 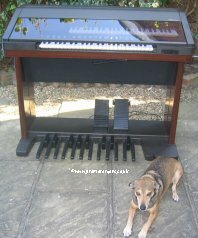 The keybeds are Hammond originals, providing a wonderful feel and playing action whilst the sound from the 200 watt, 8 speaker system is truly stunning. 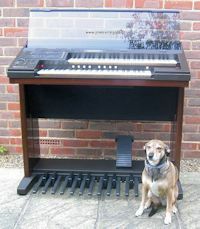 The Orla GT9000 DLX-2 is quite simply one of the finest traditionally styled home organs Orla has ever produced. It has been cleverly designed, incorporating over 400 stunningly realistic sounds and numerous advanced performance features including easy play features. With it's real wood veneer cabinet, 170 Watt seven channel amplification system, XR Reality HD Soundboard, stunning 5 part 'Superstyles' programmed by international musicians, Factory Preset registrations, Dynamic Frequency Compensator and High Definition Panel with easy to read Blue screen, the GT9000 DLX-2 caters for the discerning player. Orla's tradition of elegant looks, depth and warmth of sound and ease of use remains at the heart of this instrument, whilst a wealth of new styles and registrations, all instantly available, guarantee endless pleasure. 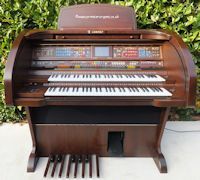 Have you ever yearned to be able to create that exclusive, magical sound and rich depth of tone, only experienced from the unique design of the original 'Tone Wheel' Hammonds, and combine it with hundreds of superbly realistic instrumental voices, a vast array of stimulating rhythmic accompaniments and extensive, yet easy to use control features? 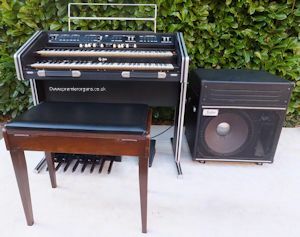 Look no further than this XT100 with it's drawbars and Hammond sound. From the very first note you play on the Technics EA5 organ, you'll marvel at their rich authentic instrument sound. Like a well-tuned pipe organ, these instruments are finely crafted to deliver robust sounds. What's more, their elegantly designed wood-grain finish cabinet makes them fashionably perfect for your music room. 3 months guarantee (labour and parts) - UK mainland only. Providing the power of an entire orchestra the Yamaha HS-8 is a top of range instrument that is much more than just an organ. It provides incredible sound with advanced AWM and FM tone generation, and highly efficient tuned bass reflection type speakers. 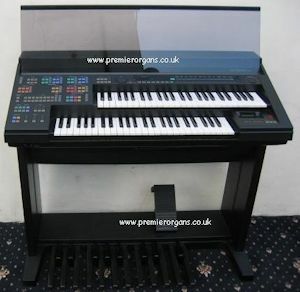 Two 49 note touch sensitive keyboards and 20 note touch sensitive pedalboard, all with initial and after touch, let you control both volume and tone colour as you play, depending on how hard you press the keys. The HS8 gives you unlimited creative freedom, with rhythm and chord programming, FM voice editing capabilities and song multi-tracking features. One model down from the top the GA1 is designed for ease of operation. Designed to please even the most discerning of tastes. The sound is rich and vibrant with incomparable realism thanks to Technics advanced digital technology and total dedication to musical excellence. All the quality you would expect from a top end instrument. The EL25 is part of the sophisticated EL Electone line. It provides a host of versatile performance functions and stunning sound in a compact, stylish cabinet. Despite the many sounds and features, the EL25 is incredibly easy to use and play - making it perfect for anyone who loves music. 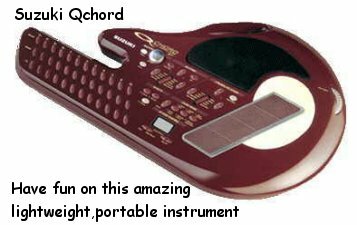 It gives you the tools to open up a whole new world of expression, letting you tap into all your musical talent and creativity. 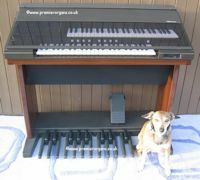 Digital drawbars & 2 X 49 note manuals. The US1 has classic good looks, quality American walnut cabinet, courtesy lights for the control panel and pedalboard and easy to operate control panel. 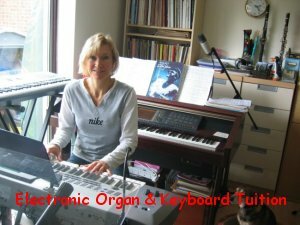 Amongst the voices are all the best loved traditional organ sounds together with orchestral and even synthesizer sounds, all ready for instant access on the easy to operate control panel. 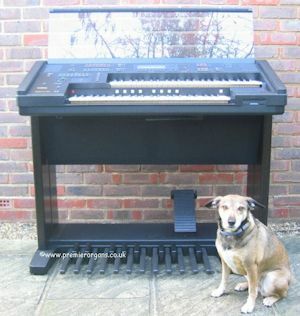 All 137 keyboard voices feature Yamaha FM and AWM sound generation. 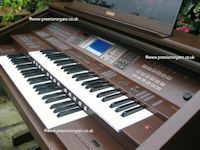 With the 2 x 60 note touch sensitive keyboards and 20 note touch sensitive pedalboard each instrument performs as it should. The piano responds like a piano, you can hear the strings being plucked on the guitar sounds and experience the sensation of a full orchestra or a complete choir of human voices. 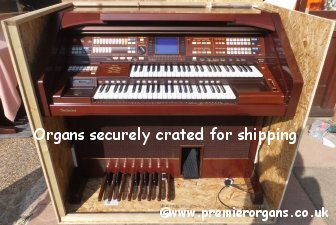 Together with a full range of automatic features this is a traditional organ at its finest. 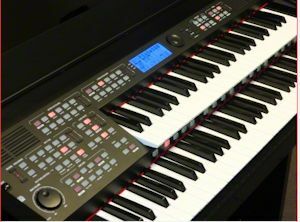 One down from the ledgendary top of range Yamaha HS8 the Yamaha HS7 features two 49-note keyboards (with initial and after touch), 20 note pedalboard, a good selection of voices and rhythms, easy play features, rhythm and chord programming, FM voice editing capabilities, and song multi tracking features. Delivery within 25 miles of ME5 9BT. 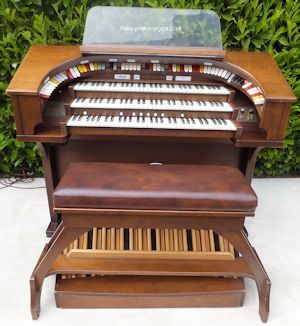 This modern stylish organ features a wealth of amazing realistic sounds and sophisticated functions yet is incredibly easy to play and a whole lot of fun too. The voices sparkle with all the brilliance and clarity of the original instruments and provide truly natural touch response. Digitally recorded actual percussion sounds power the dynamic rhythm patterns. A new solo style feature is provided to inspire your performance along with authentic automatic accompaniment that is as exciting as having a real band behind you. 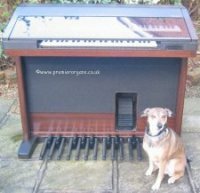 The simulated mahogany grained cabinet and smoked glass lid house 2x49 note manuals and a 20 note pedal board making this a very versatile instrument. The power you need to give the performance of a lifetime. 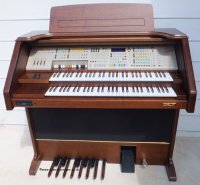 A truely wonderful, high quality instrument from Lowrey The Sensation Special Edition is one of the most popular organs that Lowrey have ever produced. Housed in a splendid walnut cabinet is an instrument packed with superb rich sounds great presets and rhythms and a 240 watt speaker system. This instrument has been further upgraded and is fitted with a USB drive. All the usual Lowrey refinements and splendour. The Orla GT9000 offers you a wide range of incredibly easy to use realistic voices and advanced performance features. So easy you can sound professional from the very first time you sit down to play. With the Preset Settings found in the Automatic Set-Ups, Overall Presets and the Automatic Organ features, instantly finding the sounds you want is simplicity itself. Whilst the GT9000 uses a new generation of technology the warmth and depth of tone which has long been associated with the ORLA remains. The elegant cabinet design together with superb amplification system make the GT9000 simply irresistible. 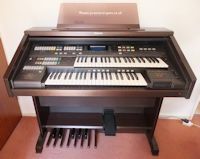 A dual manual 61-key organ which uses Roland's proprietary Virtual ToneWheel sound modelling technology for stunning classic organ emulation. 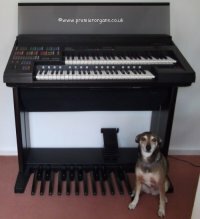 An affordable, portable, lightweight, impressive alternative to the cumbersome and expensive classic tonewheel B3 and C3 type Hammond organs. 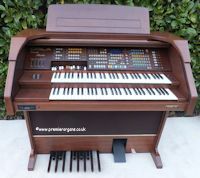 A small amount of cabinet damage (if you click on the image this can be clearly seen on the information / specification page) It is in perfect working order and for this instrument very good condition. 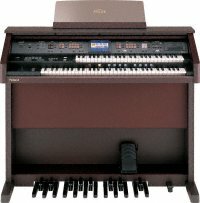 This quality mid-range organ has digital drawbars, digitally recorded actual percussion sounds and voices that sparkle with all the brilliance and clarity of original instruments. Easy play features and authentic automatic accompaniments give the feel of a real band behind you. 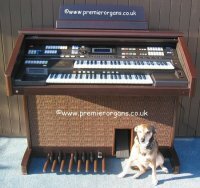 2 x 49 keyboards and 20 note pedals are housed in a stylish modern yet traditional simulated mahogany grain cabinet. 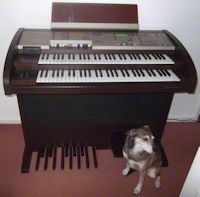 The Yamaha EL70C offers amazingly real instrument sounds and organ voices. True musical instrument touch response. Luxurious studio-quality effects. Sophisticated automatic rhythms and accompaniment. Extensive rhythm programming and rhythm sequencing controls. Faithful and powerful reproduction with a multi-channel amplifier. Convenient one-touch registration changes. Advanced yet easy-to-operate voice creation functions. Multi-track recording. A LCD that provides comprehensive, intuitive control over Electone functions. Expandability with additional voices and registrations available on disk. 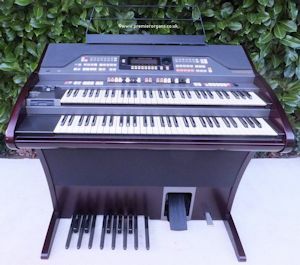 Even with all its sophisticated functions playing this Electone is a breeze. In other words, the EL70C gives you complete and straightforward control over your music - isn't that what you expect from a classic? Easy to use with a warm, mellow tone. Real flutebars, 2 x 61 note manuals, easy play features and an excellent array of sounds and rhythms. All the instruments below are in good working order unless stated otherwise. All instruments are sold as seen. Being very compact the Yamaha HC2 is an ideal instrument for anyone with limited space. It comes with a variety of lead, orchestral and bass voices and a registration menu complete with 26 pre-programmed registrations. There's also an authentic AWM acoustic piano voice - playable simultaneously from both manuals.